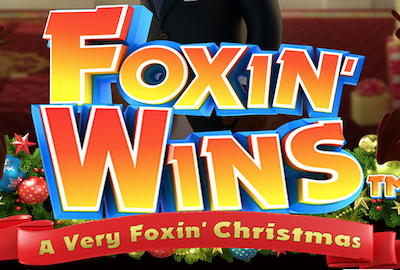 Popular slot by NextGen Gaming, Foxin’ Wins, is back with a festive version titled Foxin’ Wins: A Very Foxin’ Christmas. It’s a 5 reel and 25 payline slot that adds festive fun to the standard game. The game includes a Super Bet feature that allows you to get increased wild wins. A Very Foxin’ Christmas looks great and is full of Christmas cheer. The game is set on the backdrop of a room that’s dominated by a red chair to the right plus a Christmas tree. The main symbols are decorated and these include christmas trees and gingerbread houses. Spins are accompanied with a jolly soundtrack. It wouldn’t be out of place in a store at this most wonderful time of year. Wagering on the slot starts at 25p but you can increase it up to £625. The wager can be increased by using Superbet. Superbet enhances Fox Pups Wilds randomly appearing in either reels 2,3 and 4 or all the reels. This all depends on how far you’re willing to increase the Superbet. The Superbet control isn’t well designed. You need to click on the numbers just to the right of the slot – not on the Superbet logo (which seems logicial to us). As well as the Superbet feature, Foxin’s Wins Christmas also boasts a free games round. This is triggered when three or more scatter symbols appear on the reels. 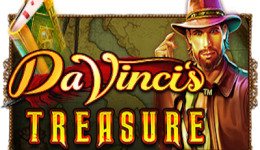 The award is 10 free spins with double prizes. A random bonus feature can also occur during play – this is either Fox Funds (where you seem to always get x10 the basic wager) or Leprechaun Showdown (which never showed up). This is a good festive slot and has plenty of features and interest to keep you interested. The free spins bonus round can generate decent wins (we collected over £13 from a 50p Superbet spin) and the Superbet feature does seem to have some value – most certainly we had better wins with it on than off. The main criticism of the game is that the buttons, bet up/bet down and superbet are not well defined, and accessing the paytable isn’t obvious either. Foxin’ Wins also isn’t the first game to release a festive version and it’s a trend we’re not overly keen on. Mind with UKGC clamping down on slots we do wonder whether festive games may soon be deemed inappropriate?